These 28 in Euro shams makes a big difference to your bedding. The colors are vivid and wonderful and it gives my bedroom a new look. 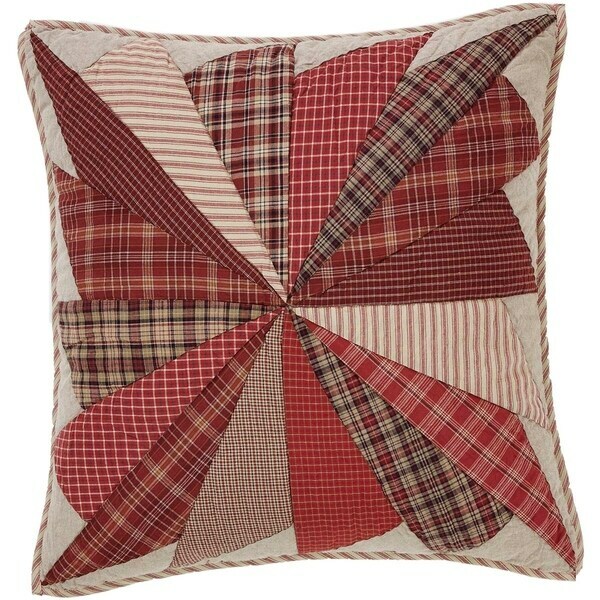 The centered pinwheel of the Ozark Quilted Euro Sham is a rich barn red, beige, black plaid, solid, and stripes embodying a true rustic appeal. Trimmed in stripes and reverses to stripes and 3 light wooden button closures. Dimensions 26.0 In. X 26.0 In. X 1.0 In. "Do you have the bedskirt to go with the comtorter"